Taunton Hotels Cottages Caravan Parks Campsites Somerset. Taunton is at the centre of a historic area, because of it's position in the centre of a valley with the river making it more accessible. Taunton is still a busy market town with an excellent shopping centre and facilities. 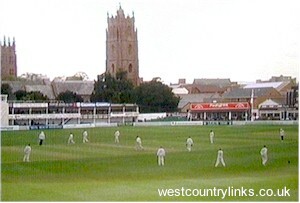 Somerset County Cricket Club has its headquarters in the town with a good share of national and international players gracing the team. Somerset holidays, Cottages, Caravan Holiday Parks, Camping, shows, festivals, attractions and eventsSomerset. Somerset Map.